Röhr + Stolberg has decades of experience of manufacturing high-grade anodes from lead and lead alloys for use in electroplating. 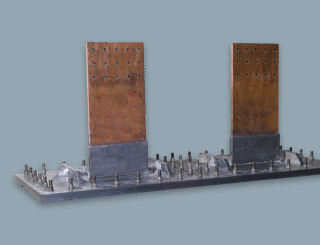 Anodes are indispensable in electrolysis to produce non-ferrous metals such as copper and zinc. They are also required in the surface finishing of metals, for example in hard chromium plating, galvanising, anodising or pickling metal surfaces. Media containing sulphuric acid are used in electrolysis. 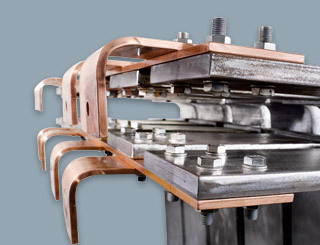 These make high demands on the anode casing. 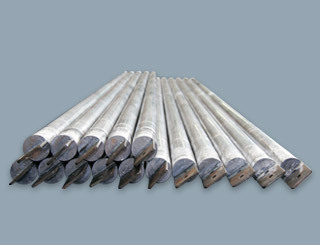 Lead alloys are among the few materials that satisfy these demands, making the metal ideally suited to the manufacture of high-quality anodes. 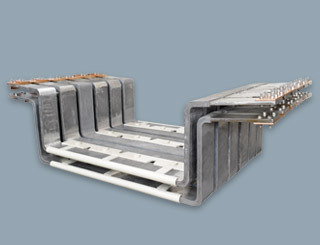 Röhr + Stolberg manufacture anodes to suit the profile of requirements and the customer’s specifications. 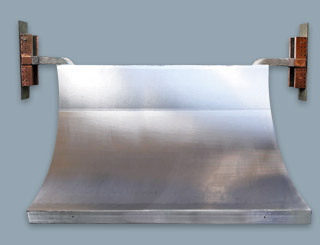 Lead and lead alloy anodes are produced by rolling, casting or extruding. 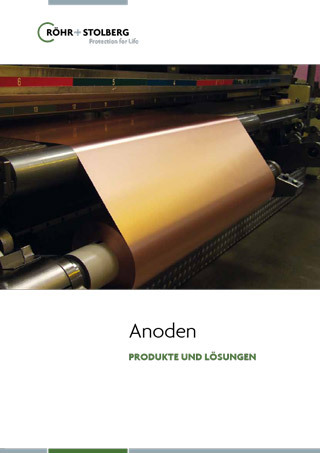 Our portfolio also includes anodes with a homogeneous lead coating and substrate materials such as steel or copper. Depending on the application, we use a wide variety of alloys for anodes, produced for example by adding silver, tin or antimony. Our products are of course supplied ready for use, complete with mountings and power supply from steel or copper. As part of our service we take anodes back for conditioning or repair. Our production and testing processes are certified in compliance with DIN 28058. As an experienced partner of industry, we provide our customers with tailored advice on how to achieve the optimum result for a specific application.